Officers with the Killeen Police Department and the Bell County Sheriff’s Department work together to arrest a Killeen man charged with Aggravated Assault on a Peace Officer. 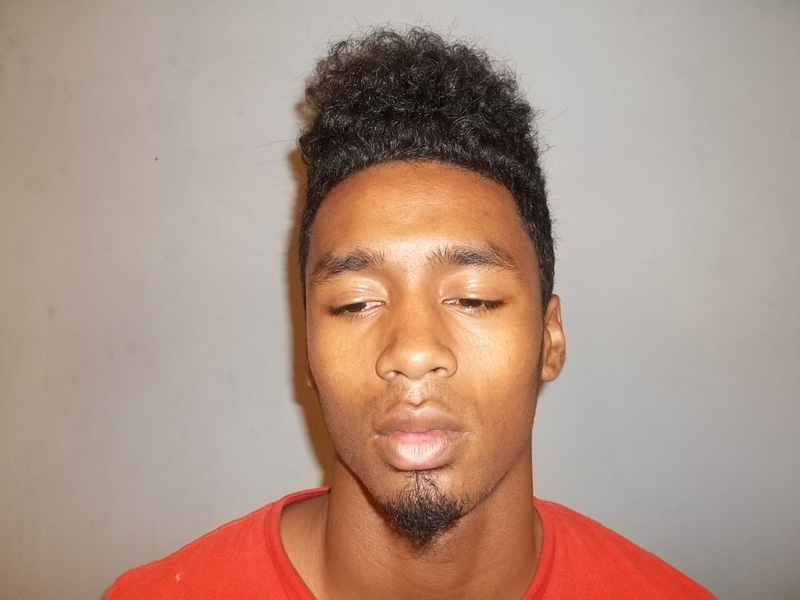 On Friday, October 24, 2014, detectives with the Killeen Police Department obtained a complaint affidavit from the Bell County District Attorney’s charging 25 year old Harlan Lee Conway with Aggravated Assault on a Peace Officer. 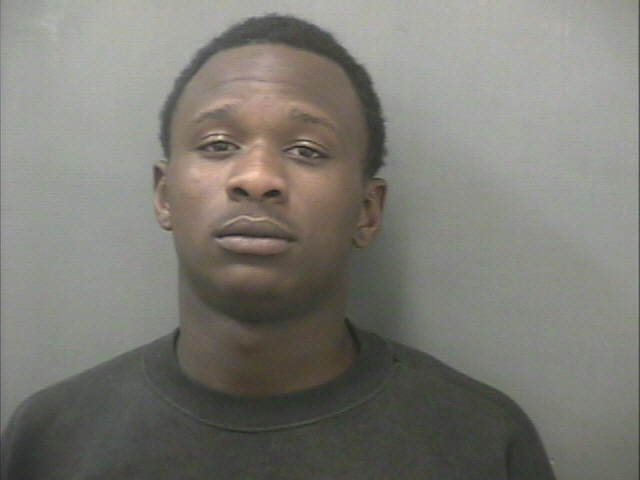 This charge stemmed from an incident on Wednesday, October 15, 2014, in the 5000 block of Saddle Ridge Dr., when Conway charged at the officer with a knife; Conway was detained at that time but later released for further investigation into the incident. Killeen detectives have been attempting to serve this warrant since it was issued by Justice of the Peace Bill Cooke on Friday, October 24, 2014, but were unable to locate Conway. Through their investigation they learned of a residence on Oakala Rd. where it was believed that Conway was staying. Deputies with the Bell County Sheriff’s Department and detectives with the Killeen Police Department arrived at that residence earlier today. Before they could speak with anyone at the residence, Conway was seen coming outside then going back inside. They were able to convince him to surrender and he did so peacefully just before 6:00pm this evening. Conway was taken into custody by the Bell County Sheriff’s deputies and transported to the Bell County Jail where he awaits arraignment. Justice of the Peace Bill Cooke recommended a $250,000 bond for the Aggravated Assault on a Peace Officer charge. The Killeen Police Department continues to investigate this case and other allegations that have been made. Because these allegations are in the early stages of investigation, we decline to comment on them at this time. We would like to thank the Bell County Sheriff’s Department for their assistance with this incident. Killeen Police involved in early morning standoff on Armadillo Drive ends peacefully. 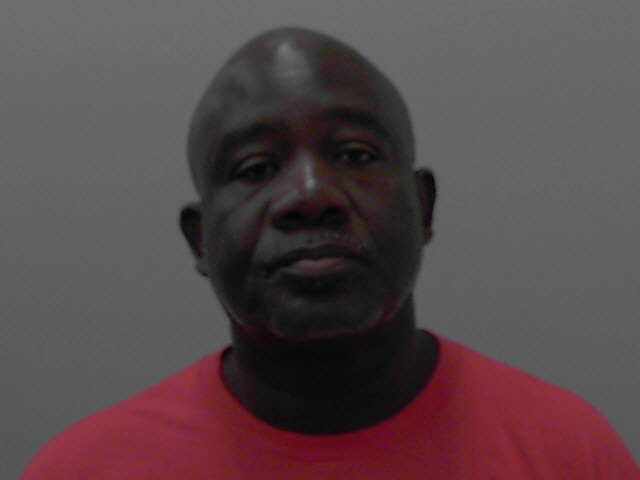 Officers responded to 2701 Armadillo Drive, after receiving a 911 call at 3:50am, on Friday, August 08, 2014, in reference to a domestic disturbance. Upon their arrival, they were told a female had been assaulted by her boyfriend. The preliminary investigation revealed that a male and female were involved in a verbal disagreement that turned physical and the male had left the residence prior to the officers’ arrival. A short time later, officers were notified that the suspect had returned to the residence and were advised that the victim was being held against her will and there was a possibly weapon involved. After several attempts were made to speak to the suspect, the Tactical Response Unit was deployed. For approximately two hours, members of the unit spoke to the suspect on and off and convinced him to surrender; at 8:52am, he was taken into custody, without incident, and transported to the Killeen City Jail. The female was released unharmed. 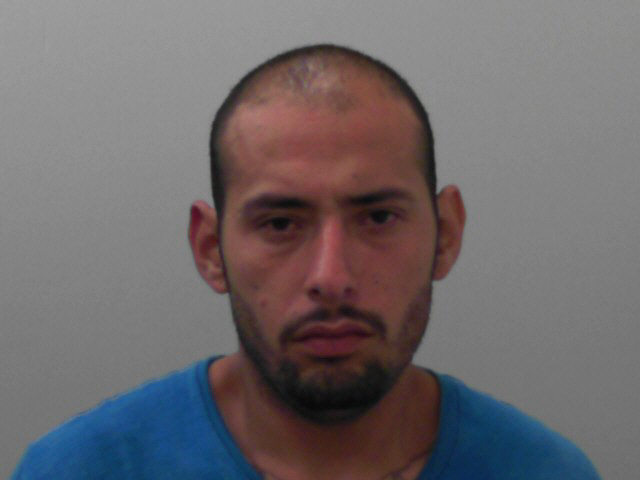 The suspect, 31 year old Andres Carrisalez of Killeen, is being charged with Assault with Bodily Injury on a Family Member, outstanding traffic warrants and a warrant for Human Trafficking by the U.S. Marshals Office. Killeen Police arrest a former Killeen High School teacher for an inappropriate relationship with a student. Officers were notified of a male teacher who was having a sexual relationship with a student who was attending Killeen High School between September 2013 and June 2014. Detectives began an investigation into this allegation over several months and were able to determine that the 55 year old male teacher was having a continuous sexual relationship with a 16 year old female student for approximately 9 months. Upon learning of this investigation, KISD administrators placed the teacher on administrative leave on February 14, 2014. On Wednesday, June 18, 2014, this case was reviewed by the Bell County District Attorney’s Office and a complaint was returned charging Samuel Antonio Caines Jr. with Inappropriate Relationship Between Educator and Student (2nd degree Felony) and Justice of the Peace Bill Cooke issued a warrant for his arrest. Detectives served the warrant against Caines at his residence in Killeen. He was transported to the Killeen City Jail where he was arraigned by Justice of the Peace Bill Cooke on Thursday, June 19, 2014 and set his bond at $100,000. Caines was released after posting the required bond. Additional charges are pending after further review by the Bell County District Attorney’s Office. Caines is no longer employed with the Killeen Independent School District. Detectives investigating the shooting death on Gus Dr., had the case reviewed by the Bell County District Attorney’s Office on Sunday, April 27, 2014. They issued a complaint charging 17 year old De’Marcus Kar’del Bronner, of Killeen, with Murder. Justice of the Peace Bill Cooke set his bond at $1,000,000; he will be transferred to the Bell County Jail later today. The victim has been identified as 35 year old Jorge Ramirez Jr. of Killeen. Officers responded to a report of a man with a gun in the 3400 block of Stan Schlueter Loop on Saturday, April 26, 2014 at 9:46pm. The caller advised the man was wearing all black and was possibly armed with a shotgun. An officer arrived in the area and located a silver Honda Accord with no lights, stopped in the roadway in the 4600 block of Lonesome Dove Dr. The officer saw a male in the driver’s seat slumped over and suffering from a gunshot wound and the back driver’s side window shattered. The officers began CPR, continuing until paramedics arrived and transported the victim to the Carl R. Darnall Army Medical Center with life threatening injuries. The victim died at the hospital and Justice of the Peace Bill Cooke ordered an autopsy to be performed at the Southwestern Institute of Forensice Sciences in Dallas. 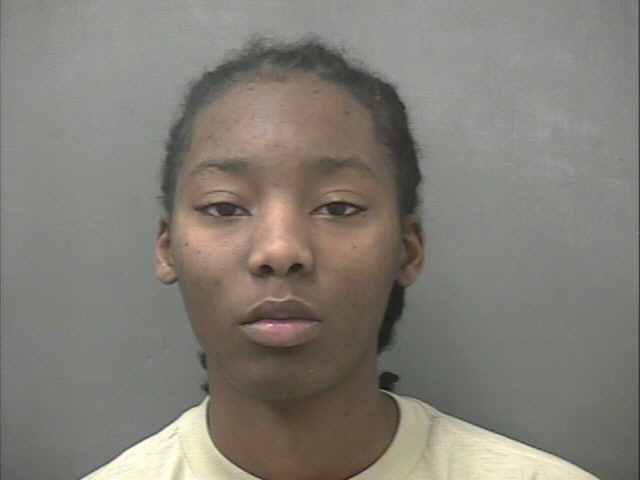 Killeen Police arrest female involved in Game Exchange Robbery. On Friday, August 2, 2013, at 9:13pm, officers responded to a 911 call telling them the Game Exchange located at 2501 S.W.S. Young Dr. had just been robbed. Upon the officers arrival they learned that two armed black males forced their way into the store when an employee was escorting a female customer out after closing time. The two males forced the employees to the ground after demanding money. The employees heard someone knocking at the back door to the business shortly after the two suspects entered the store; the suspects opened the door to let another black male suspect inside. Once inside the business the third male led the female customer to the back door and let her out. The three suspects then broke several glass showcases and stole numerous electronic items from within those showcases. The three suspects then fled through the back door. Detectives continued investigating this robbery and determined that the female customer who was being escorted out the night of the robbery was involved in this incident. A search warrant was executed at the female’s residence in the 3000 block of Blackburn Dr. on Thursday, February 6, 2014 and numerous pieces of evidence involving the female were recovered. The female was taken into custody. This case was reviewed by the Bell County District Attorney’s Office and a complaint charging 21 year old Jessica Elaintrell Smith, a Fort Hood Soldier, with Aggravated Robbery. Justice of the Peace Garland Potvin set her bond at $100,000; she is currently in the Bell County Jail. Further arrests are pending at this time. Detectives continue to investigate this incident and information will be released as it becomes available. On December 17, 2013, at approximately 12:30am, the Killeen Fire Department was dispatched to the Starlite Station located at 3310 S Ft Hood St in reference to a fire alarm. The preliminary investigation revealed that several fires were intentionally set within the structure causing moderate and minor fire damage to the manager’s office and other locations within the facility to include water damage. The Killeen Fire Marshal’s Office and the Killeen Police Department Burglary Detectives later determined that a previous burglary had occurred on December 3, 2013, where the suspects’ objective was to obtain cash from the clubs safe and intentionally set fire in order to destroy evidence and security footage. This case was reviewed by the Bell County District Attorney’s Office and a complaint was returned charging 34 year old William R. Twist of Killeen and 20 year old Jacob H. Lugmayer of Fort Hood with Arson; their bond was set at $50,000.00 each. Mr. Twist is currently at the Bell County Jail and Mr. Lugmayer will be transferred there later today.